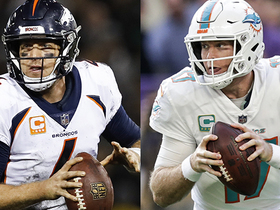 Analysis: With Joe Flacco in line to be acquired by the Broncos, Keenum obviously is expendable, and Washington is looking for QB help due to Alex Smith's serious leg injury. 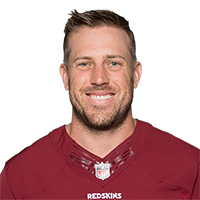 If Keenum does end up in Washington, he'd have to to compete with Colt McCoy for the team's starting job. Keenum completed 31 of 48 passing attempts for 292 yards, a touchdown and an interception in Sunday's 23-9 loss to the Chargers. He also rushed three times for eight yards and lost a fumble. 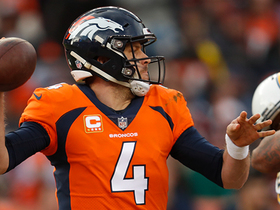 Keenum completed 23 of 37 passes for 202 yards with two touchdowns and two interceptions in the Broncos' 27-14 loss to the Raiders on Monday. 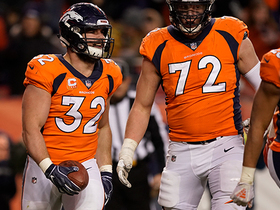 He also rushed three times for 19 yards and fumbled once, but it was recovered by the offense. Keenum completed 31 of 48 attempts for 257 yards, committing two interceptions but adding a one-yard rushing touchdown during Saturday's 17-16 loss to Cleveland. Keenum completed 24 of 42 passes for 186 yards with a touchdown and no interceptions in the Broncos' 20-14 loss to the 49ers on Sunday. He also gained 24 yards on four rushes. Keenum completed 12 of 21 passes for 151 yards and a touchdown during Sunday's 24-10 win over the Bengals. He added nine yards on two carries. Keenum completed 15 of 28 attempts for 197 yards and two touchdowns during Sunday's 24-17 win against Pittsburgh. 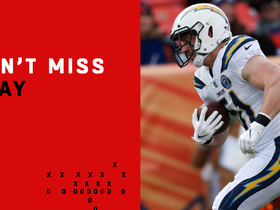 Keenum completed 19 of 32 pass attempts for 205 yards during Sunday's 23-22 win over the Chargers. Analysis: Keenum averaged just 6.4 yards per attempt while posting his third-lowest yardage total of the season. 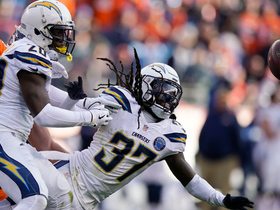 He did go without turning the ball over for the second straight game, allowing the rushing attack and the defense to grind out a hard-fought away win. Keenum has come up with some big performances this season, but they have been few and far between for the most part. The Steelers could force him to throw early and often next week, and he'll look to bounce back with a more productive showing. Keenum put up 42 pass attempts, completing 26 for 290 yards and one touchdown during Sunday's 19-17 loss to Houston. 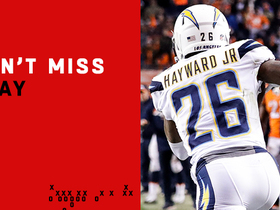 Los Angeles Chargers cornerback Casey Hayward returns an interception by Case Keenum all the way on a two-point attempt by the Denver Broncos in Week 17 of the 2018 NFL season. 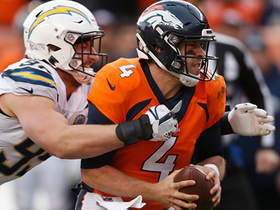 Los Angeles Chargers linebacker Kyle Emanuel returns a fumble for a touchdown on Denver Broncos quarterback Case Keenum's backward pass. 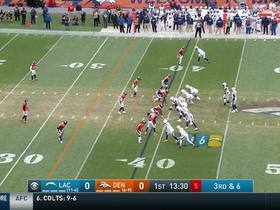 Denver Broncos quarterback Case Keenum connects with his wide receiver Courtland Sutton for 25 yards. Los Angeles Chargers defensive end Joey Bosa recovers a fumble by Denver Broncos wide receiver Tim Patrick. 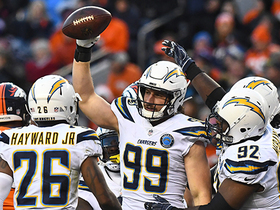 Los Angeles Chargers defensive end Joey Bosa sacks Denver Broncos quarterback Case Keenum for a loss of 4 yards.